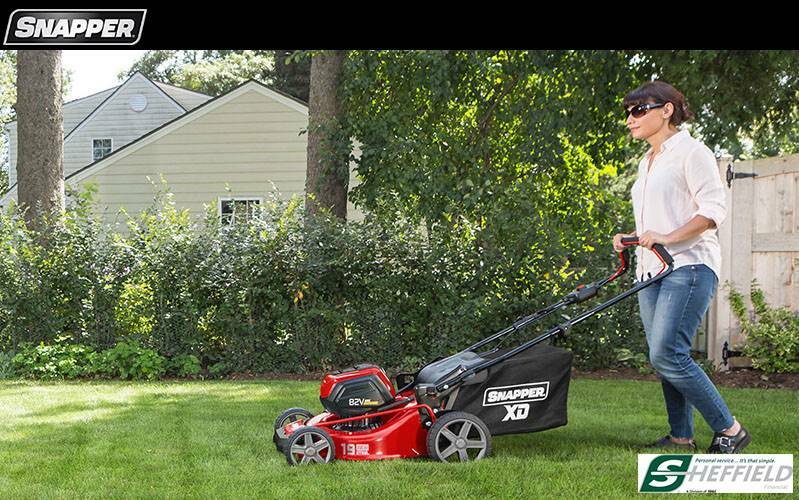 Power and performance comes easy with the Snapper® ST Series riding lawn mowers. ST Series ride on mowers make mowing medium to large yards a breeze. With a reliable Briggs & Stratton® Engine, you get the luxury of long-lasting power from a two-step debris management system that protects your engine. 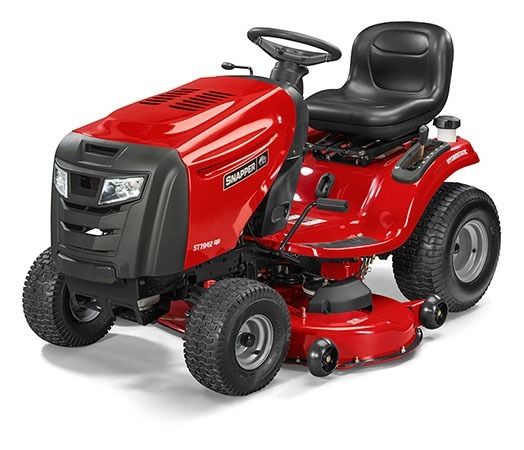 Abundant landscaping is no problem with the mid-size 42" or 46" deck, tight 16" turning radius and the ability to mow in any direction for increased mowing efficiency. DRIVE LIKE A CAR: Automotive-style hydrostatic transmission make this lawn mower easy to drive and to adjust speed from the foot pedal. OUTSTANDING DURABILITY: All-steel construction and cast-iron front axle help give this lawn tractor an edge in harsh, demanding conditions. 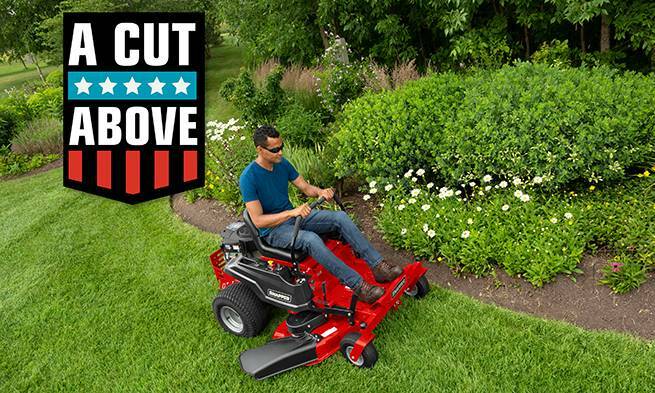 DEPENDABLE POWER: Briggs & Stratton® has delivered reliable power and quick starting to mowers for decades. EASY MOWER DECK CLEANING: For a quick clean, connect your hose to the mower's deck washout port for a fast and simple way to clean the bottom of your deck of grass clippings and yard waste. SMART CONTROLS: Convenient fuel tank sight gauge, 3 gal. tank and maintenance minder hour meter are some of the user-friendly controls on the ST2046 model. ADJUSTABLE MOWER DECK: Simple spring-assist deck lift helps adjust your mower deck to changing grass and lawn conditions. Front - 15 x 6 in.